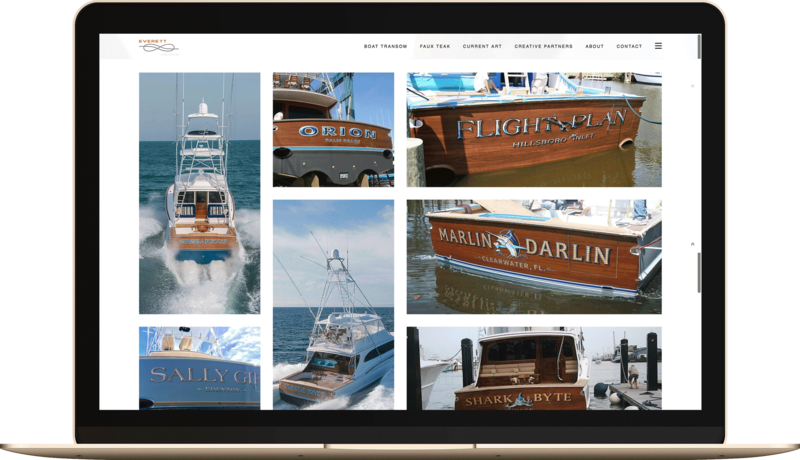 Everett Nautical Designs was looking for a creative to expand their digital presence, provide a stunning portfolio to display their boat transom painting, faux-teak, gold-leaf and custom boat lettering techniques, and to provide a greater competitive presence. With Django framework technology we created a website that brought their brand to life and used a deep user design experience. Responsive design running on scalable server architecture with google top 1 and top 2 position will have this highly interactive site top of mind and searches. 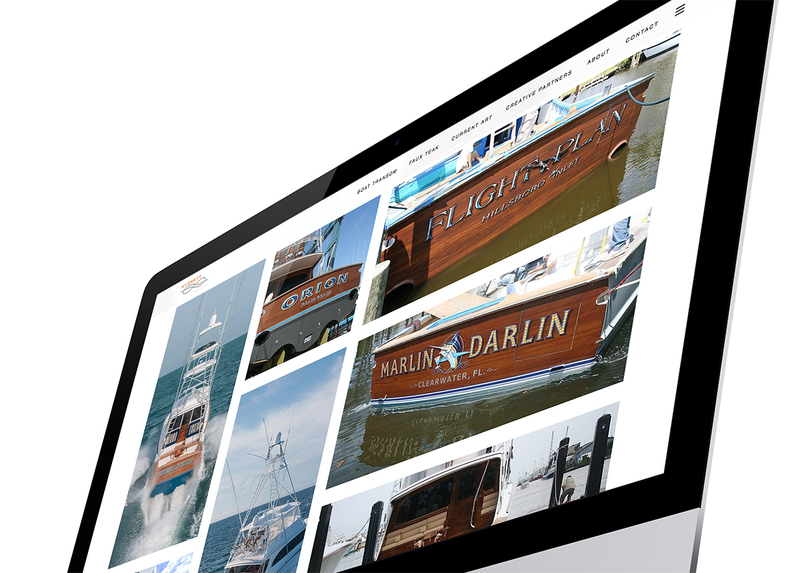 The website now offers a broad spectrum of viewable creative products for special clients. 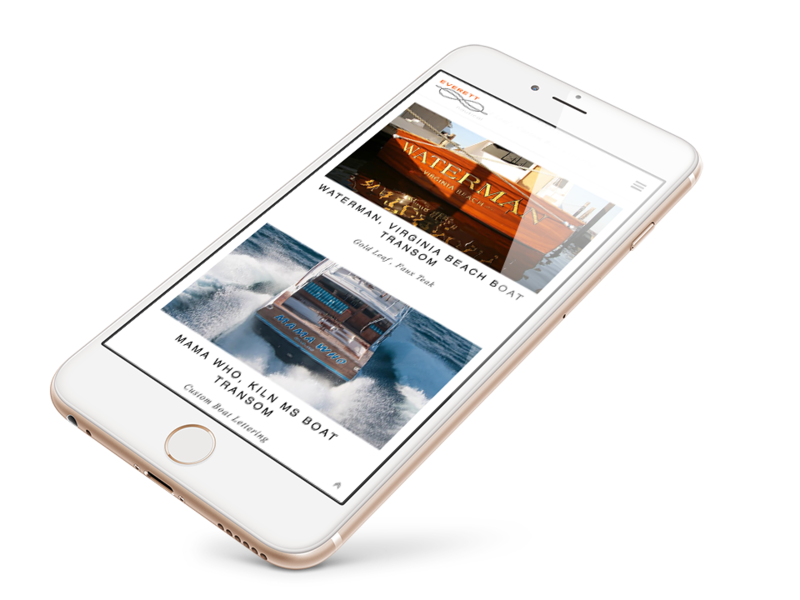 Examples of Everett Nautical Designs work can be found on mega yachts, private aircraft, collectable cars, commercial locations, galleries & more. Josh Everett is an accomplished illustrator and artist who specializes in custom transom design and painting. All transoms are hand-painted using traditional pinstripe brushed outlines, airbrushed graphics and hand-laid gold leaf. No design is too complex. Everett Nautical uses digital technology to cut all stencils in-house. Josh enjoys working with clients on design development. Everett Nautical is fully insured and will travel to your location, offering outstanding turn around time.